Disclosure: This page contains some affiliate links. Please know that I may receive a percentage or commission from a link included on this page, at no cost to you. 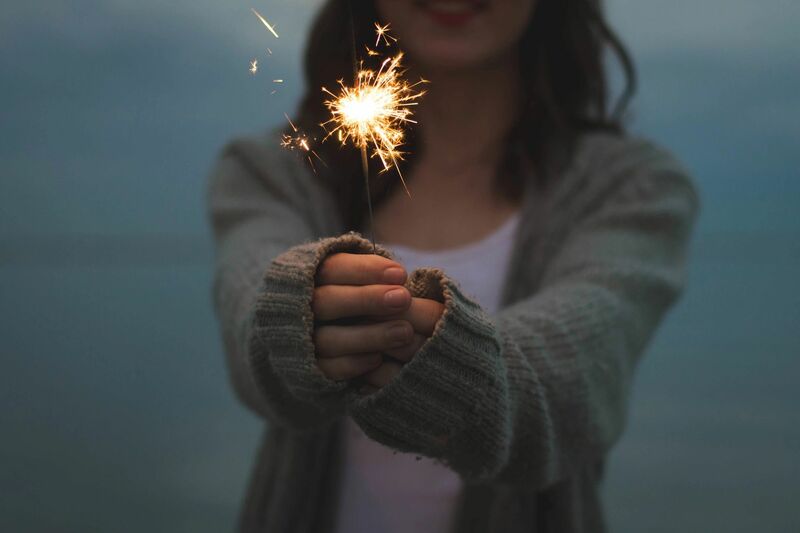 I will only recommend a product or service that I have used or believe has substantial value to my readers. 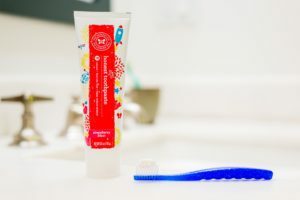 When I became pregnant with my first son, I spent a lot of time on Pinterest researching all of the baby products that I would need to bathe, dress, feed, clothe and carry him in. The first thing I realized was that there are thousands of baby products to choose from, and the second was that there are a thousand and one opinions on which are best. I didn't know much, but I knew that I wanted to choose organic products whenever it was easily accessible at a reasonable price. The Honest Company was one of the first brands I came across that not only offered organic products but made it easy to order (and reorder) from the convenience of my own home with a customizable Essentials Bundle of 5 products that is auto-shipped to your front door each month. Below are my top 5 baby products (aside from diapers) from The Honest Company to include in your first bundle. This skin-soothing, all-purpose salve is gentle on baby's skin and suitable for the whole family to use. Both of my kids had very sensitive skin as infants, this healing balm worked wonders on diaper rash, cradle cap, dry or chapped lips and cheeks, and minor cuts and scrapes. It's my go-to product of choice still because its gentle on their skin and eases their skin symptoms. A MUST HAVE for parents! A light, soothing blend that leaves skin silky and nourished. Made with organic oils makes this body oil perfect for the whole family. The Honest Face + Body Lotion is perfect for every day use. I keep a bottle of it next to my kitchen sink to use after washing dishes. A mix of organic olive, shea, and jojoba oils helps to moisurize the skin without leaving it greasy. They also have 4 scents to choose from; the Dreamy Lavendar is perfect to calm your child after a relaxing bath before bed! Diaper rash is no joke, so using products that are made without petrochemicals, chlorine or harsh chemicals is key to keeping your baby's bum rash-free. 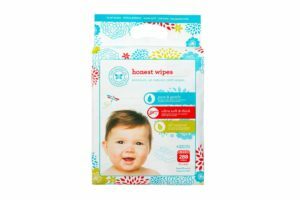 The Honest 4-Pack Wipes are thick, don't rip or tear when wiping a messy diaper, and also come in convenient Honest Travel Wipes so that you can throw them in your diaper bag or car glove box for quick access. One of the things I quickly learned was that a baby's skin is so sensitive in those early days that anything that touched it could cause a rash or reaction. Many detergents say "natural" or "pure", but in most cases, it's just a marketing ploy. 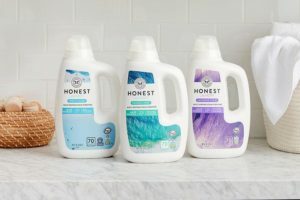 The Honest Laundry Detergent is hypoallergenic, dermatologist tested and specially designed for sensitive skin. This is a GREAT value when included in your monthly Essentials Bundle with savings up to 35%! The fun part about the Honest Company Essentials Bundle is that you can customize your order each month. If you don't need a certain product, you can swap it out for another one. With so many choices and new products added all the time, there's never a shortage of products to choose from. And if you don't need product one month, simply delay your order until you do at no additional charge or penalty. On a closing note, I personally enjoy this company. Aside from their products, they also have fantastic customer service. One time my detergent arrived damaged, it spilled everywhere in transit. With one simple email, a replacement arrived no questions asked. Now that's convenient (and appreciated!) customer service! Order your free trial from The Honest Company today!